I have a confession to make: I love TV shows. I try not to start new shows because I know that when I’m hooked, my day is gone and I’m going to end up watching 7 that day. This gets your brain into a frenzy because of the need for closure. You’re willing to jump through hoops like skipping date night with your girlfriend or scrabble night with your grand mother just to see the next episode and know what happens next in these micro plots​. ​What is a content upgrade? A content upgrade is a complementary piece of information your readers can download in exchange for jumping through a hoop such as sharing the post or giving you his/her email address. It is generally offered towards the end of the content so that it pushes the buttons of the most engaged readers who are eager to get as much information on the topic as possible as fast as possible.​ You can see I’ve already used it several times on Authority Hacker and several popular bloggers like Brian Dean definitely adopted the tactic. 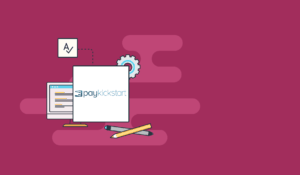 This process was actually invented by Clay Collins over at Leadpages who was offering free landing pages templates in each of his posts to grow his mailing list. The process is genius because it relies on very small compliance hoops building the momentum up to the point where the user is willing to give you their contact details. ​I’ve been perfecting the tactic for the past few months and will be sharing all the learnings with you including 3 powerful hacks to make content upgrades work even better for your business. Now this may all seem amazing and 20% opt in rate is probably something that could change the business of many people but this is an advanced strategy and if you don’t have the bases done correctly, this tactic will not work for you. People like your content enough to want more.​ (I suggest this podcast on that topic). Your auto responder is set up properly to follow up with people and make something of the email addresses you’re collecting. Probably the best opt in rate I've ever had on blog posts (up to 20%). Every blog post becomes an opt in page in it's own rights. You can use people opt in in multiple times in your list as a lead scoring metric. It takes more time to build a content upgrade for each blog post. It won't work if your content isn't actionable enough. People might get tired of opt in if they follow you regularly. Now that I’ve described the process, you probably wonder how well it works. In true Authority Hacker style, I’ll be sharing my results with different variations of that tactic. Here you go! What you see above is the statistics of my SEMrush guest post lead box. This one is not exactly a content upgrade because it didn’t offer anything other than signing up for the newsletter. Moreover, the CTA wasn’t exactly prominent as it was a simple link in the middle of a paragraph. It makes its benefits a lot more tangible especially as you’re getting started as with an optimised content upgrade it’s realistic to imagine you could collect hundreds of emails from a single guest post. In this second attempt, I took the time to craft a one pager PDF upgrade people could download in exchange for their email on my Twitter growth tactics blog post. ​I’ve also used Thrive content builder (read the review) to build a huge CTA people just can’t ignore when they reach the end of the article. Combining the Huge Call to action with a proper bribe directly linked to the content, I managed to get as many people open the leadbox as on the SEMrush post, despite the fact that it probably had only 20% of the traffic the guest post received.​ That was a huge win in itself. But what’s extremely interesting as well is that I managed to double the conversion rate going from “sign up to the newsletter” to “download these extra 4 tactics”. That’s huge and confirms the fact that ​spending time crafting a relevant bonus makes an incredibly huge difference and is worth the time. Now I know the screenshot above is glitched, as much as I wish I had 247% opt in rate, this is simply not true. However, the number of emails collected is real. We collected over 11,000 emails from a single content upgrade. This upgrade is different because we invested in building something more valuable: a full blown out, beautiful recipes ebook.​ And the perceived value is probably much higher than a 1 pager PDF. Now creating a whole ebook for each blog post you create is probably not very realistic. But at the same time, creating these for your very high traffic posts (hint: the ones that rank well for popular keywords in Google) is probably something that can make a difference. Our approach and what I would suggest based on this experiment is to create a simple content upgrade for all your posts. And as they become more popular, swap that content upgrade for something more substantial. I’m sure by now you see the value of content upgrades and why they are worth the extra time spent. However, integrating them technically on your site isn’t necessarily the easiest thing. You could do the whole thing for free by just creating a new auto responder and putting a basic opt in form at the end of your post but you would probably never even get close to the results you can achieve with premium options because of the friction created by opt in forms as opposed to 2 step opt ins (+30% conversion rate on average). In the video bellow, I will walk you through the ways I use to create very smooth and conversion optimised content upgrades opt ins and deliveries using Thrive Leads. Now the information so far I think can already turn around a blog that’s not performing. But I wanted to get more out of it. Think about it. Many people may have left the page before they get offered the content upgrade for any reason (someone at the door, important email, phone call etc). And this doesn’t necessarily make them worthless leads. I wanted to get these people back and get their email as well, especially if your mailing list is already profitable. ​That’s where I decided to play with the brand new Facebook retargeting to offer the bribe very briefly to those who visited a post with a bribe. To be honest, this could be a whole blog post on it’s own. I recommend you check Bryan Harris’s post on the topic as it’s very comprehensive. If you just made a list post, just add 3 more items to the list in a pdf and offer that. If you’ve just made a how to post. Offer an additional video tutorial teaching something that enhances the trick. If you just had a podcast interview, offer a cheat sheet of the learnings of the episode or an extra 5 minutes of exclusive interview. Content upgrades have probably been the biggest revelation to me since opt in pop ups when it comes to growing your list. ​I don’t imagine ever producing a piece of content without one now, simply because they work so well and transform normal blog posts into lead generation machines that will keep working for you on autopilot as long as they get traffic. I’d like to try a little experiment to make this post even more valuable for you guys. If you struggle figuring out what you should offer as a content upgrade. Post a link to one of your blog posts in the comment section and I’ll get back to you with what I think is a good content upgrade. Hi Gael, that’s a great informative post and sure I’ll implement content upgrades. But, I’ve one question. Is there any free alternative to Leadpages, as I’m just starting out and don’t have much money to invest in. Although I plan to invest more into my website once the ball gets rolling and I start generating some revenue. Also, any free plugin you’d recommend for pop-ups for the time being. 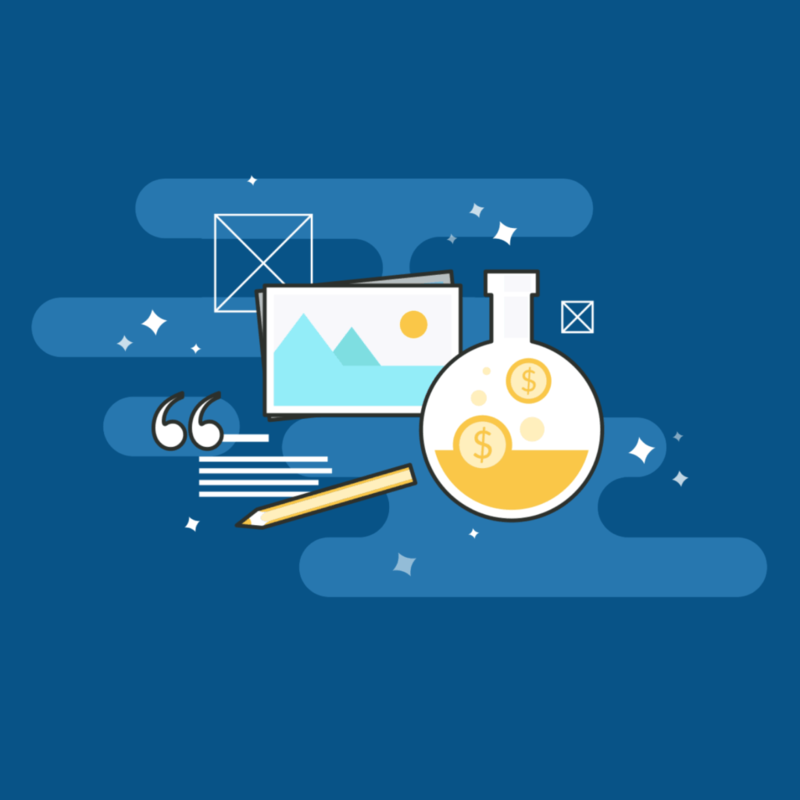 if I have WP with Thrive Themes (content builder, landing page and lightbox): if I use a lightbox to deliver some content upgrade…can I link this box to ActiveCampaign…and can AC deliver the content? (PDF of else…)…or do I need LeadPages to deliver it? I am not sure about exactly what does what…. thanks much for your answer and all the excellent value you deliver! Actually Thrive Leads now delivers lead magnets so I’d use that ;) Otherwise you can have AC deliver the content. Up to you! So many professional bloggers are using content upgrades to increase their subscriber list, recently I started following “Kim Roach” 30-day challenge where she used content upgrades to build her email list along with Facebook ads. She is using Leadboxes to capture the email ID’s, may I know which service you are using for content upgrades?, I think it is Thrive content builder. Thanks for sharing the information about content upgrades, see you soon with another article. I am using Thrive Leads right now. Where do you put the tracking pixel? Which page is considered the confirmation page when using leadpages or wordpress for the autoresponder? for the confirmation pixel I put it on whatever than you page I send people to after they opt in. You can chose that in your email marketing software. I tried to download the 3 tactics, however I never received the email despite waiting longer than an hour. I’ve actually already had this issue with some of your other posts. I’m not sure whether the issue is that I have already subscribed to your blog in the past but for some reason im not getting any of the downloads. Are you able to send it through, or let me know whether i’m missing something at my end that I can adjust. I just tried it myself, check the spam folder it seems like the leadpages delivery system is having issues :/ I’ve brought it up to them. (1) I click a button that says [FREE DOWNLOAD] and get a popup window. No problem here. (3) Now I get an email entitled “Please Confirm Your Subscription To Authority Hacker”. At no point did I ask to be signed up to your mailing list, nor was it mentioned in either of stage (1) or (2). Now I’m slightly annoyed — you’ve effectively tricked me into signing up for your email address. Right? Thanks for dropping by. I personally don’t see how this is worse than doing the exact same thing in your sidebar. The only thing content upgrades do differently is that they are in content and more targeted. It’s not more morally wrong than Groupon forcing you to sign up to see the site at all or any free thing you download off the internet. I think James meant that you’re not exactly telling people that they’re going to receive newsletters from you. They wanted PDF but started to receive emails from you. I think it’s very easy to add this sentence that visitors will get PDF and start to get newsletters from you but if somebody don’t want, it’s possible to unsubscribe at any time:). I wanted to ask you about content upgrade where you ask for share/like. When do you use it? I haven’t newsletters at that moment but I still want to promote my posts. Am I need to have newsletters and start to send emails to subscribers immediately when I collect emails with content upgrades? Maybe I can begin collecting emails without newsletters? Or use shares/likes instead? What’s your advice? Hi Gael, I’m considering providing a PDF version of my chocolate mousse recipe (http://kipkitchen.com/chocolate-mousse-recipe-easy) or a compilation of desserts as content upgrade. You mentioned 3 paid tools in the video. Are there any free tools to do this? Thanks! Sumome does a somewhat free version of this but is limited to a free trial. I suggest you start with that if you want a free option. Otherwise, Thrive content builder (http://authorityhacker.com/recommends/thrive-visual-editor/) now allows you to build these with GREAT CTA’s and custom opt in pop ups for $49 one off with their last update. If you can spare $49 it’s a much more robust solution than sumome that charges $100/year for leads once you’re done with the free trial. I have been running a page post engagement ad for a blog post for about a week now. I am getting $0.12 CPC, but I had not had a re-targeting pixel on the post. I read this bog post yesterday and added a pixel. Now, it’s only been one day, but I have cut my lead cost by 67% and doubled my landing page conversions. I am very impressed and thank you for this! This is in the B2B space, not IM. Thank you for dropping by. This is actually part of the theme I use (Focus Blog). It’s an upsale of the Thrive Content Builder (http://authorityhacker.com/recommends/thrive-visual-editor/) along with several other themes. I’m curious, what’s the name of the share bar script on the left side of the page? One of the best looking ones I have ever seen. Or did you guys made that by yourselves? Great post. I’m new at internet marketing, taking baby steps :) I use Thrive Content Builder to create my sites, one of them is a blog to promote youtube tutorials on Wirecast brodcasting. It’s a really short post with a short (7 minutes) video. How would you implement content upgrade in such a post? Thank you for dropping by. I think for a post like that since people came for a tutorial video and care about Wirecast I’d probably make another quick video with another trick you can do with the software and offer access to that video as a content upgrade. Something like : “How to save your streams in MP4 to post replays later” or something similar. I imagine a lot of people would be interested and give you their email for a second tutorial. Think you already have, Shane, in spades. I didn’t invent it but thanks ;o.